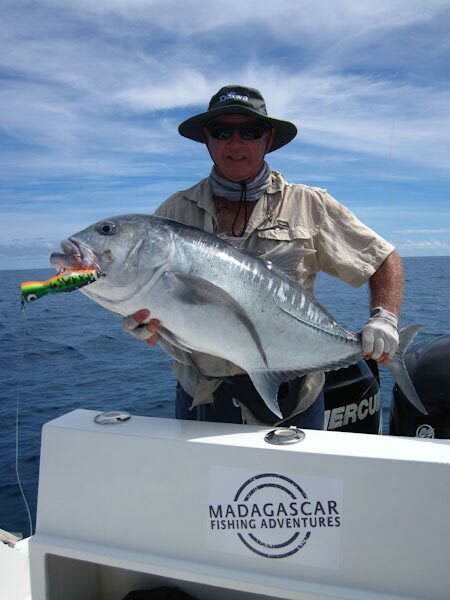 Madagascar Fishing Adventures caters for all angling types, but specializes in spinning and jigging. 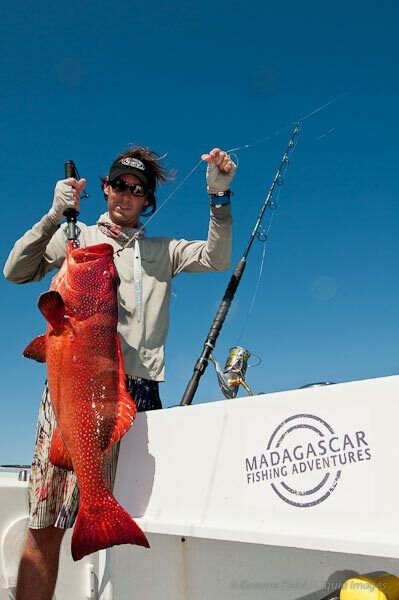 By utilising Sakatia Lodge as well as live-a-board yachts, Madagascar Fishing Adventures offers access to extensive fishing areas, including the remote fisheries north and south of Nosy Be and legendary Castor Bank. 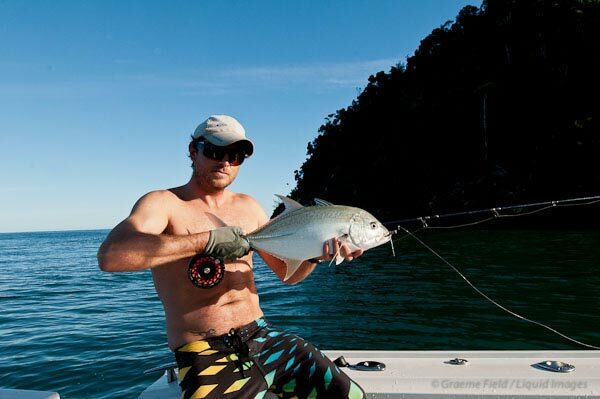 A big draw card of this area is the excellent year round sea conditions, due to the protection of the mainland. 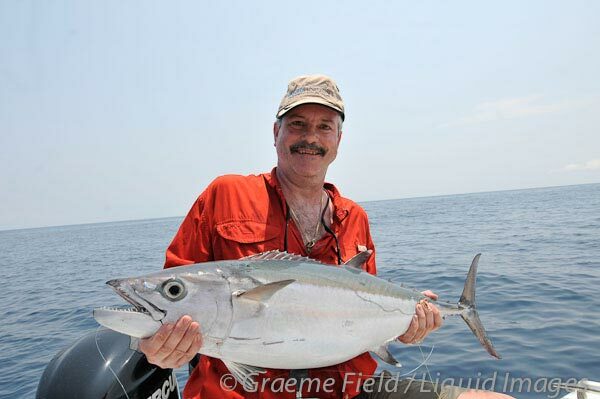 With little or no swell, light winds and no surf launches or tidal restrictions, losing a fishing day due to weather / sea conditions is highly unlikely. 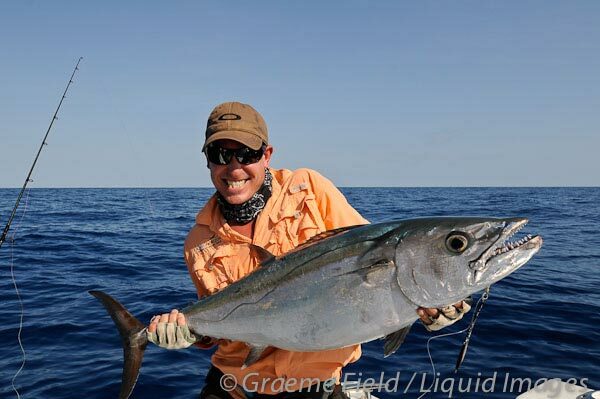 From deep jigging for massive dogtooth tuna, to estuary and inshore light tackle angling, casting at free swimming sailfish with stick baits, throwing surface poppers for big GT's and everything in between, there is something to satisfy every angler! 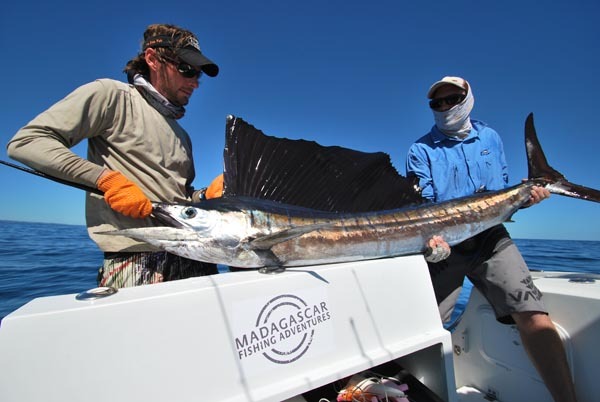 North-western Madagascar is renowned for the large numbers of sailfish and marlin that pass through these waters at certain times of the year. 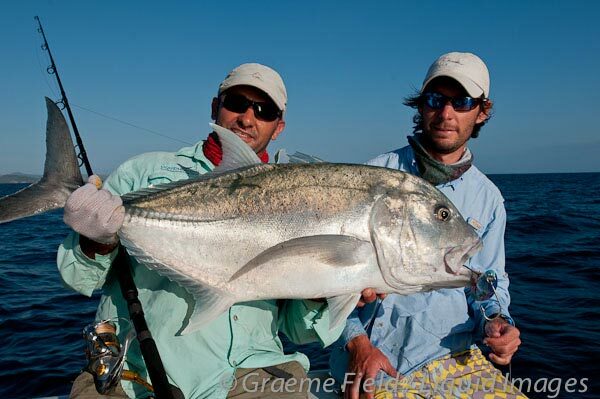 The fishing season runs from 15 March – 15 January each season. 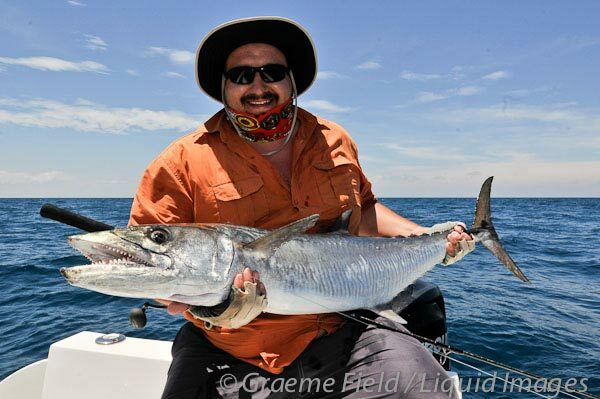 Sakatia Lodge is ideally located for the quickest and easiest access to big reefs such as Grand Entry Bank, Serpent Bank and Castor Bank, and is very close to the best sailfish grounds. 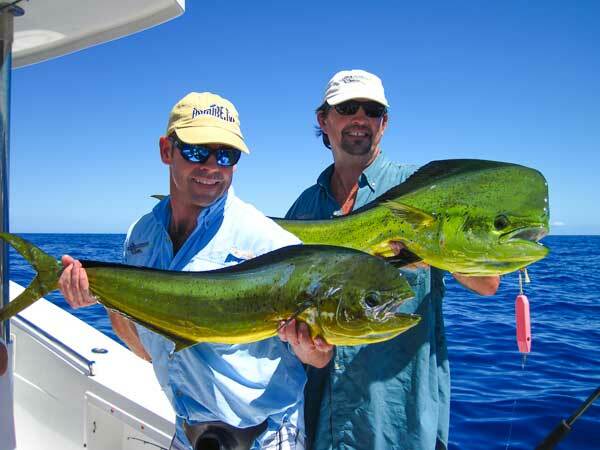 Anglers cover a multitude of fishing areas and reefs in a weeks fishing, ranging from a few minutes from our base, to the 2-hour trip to Castor Bank. 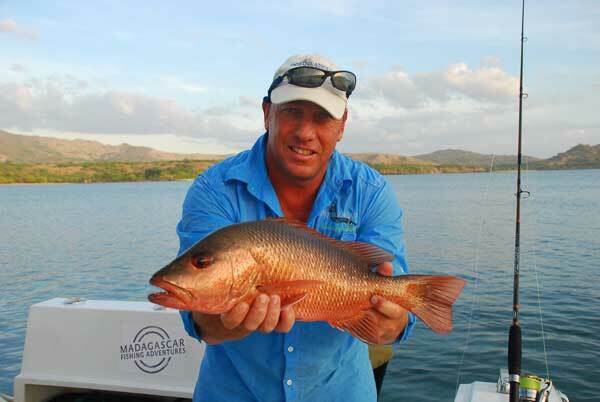 Boats are continually stopping and fishing different areas and reefs as you go, so there are generally no long travelling times, although the return trip in the afternoon can be as long as 1 hour. 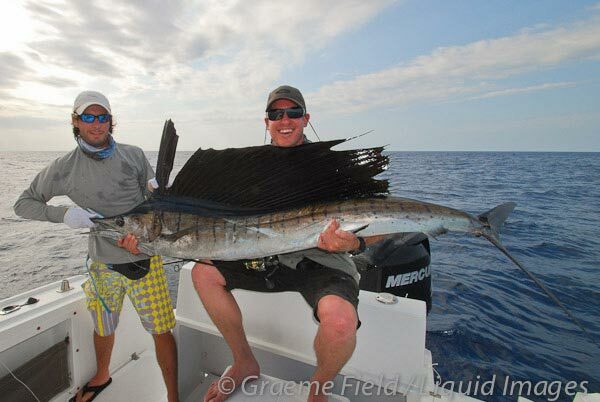 April - June and Sept - Nov are the prime sailfish months. 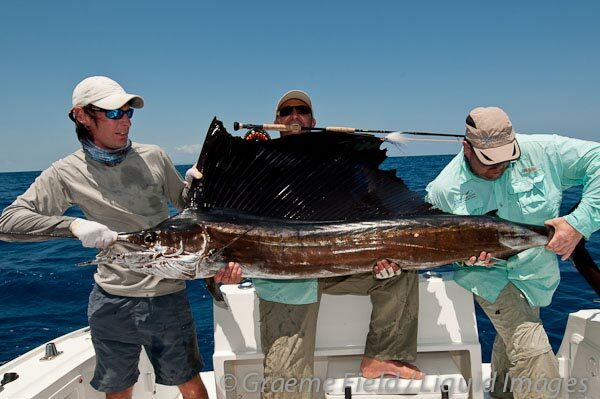 While sailfish are available year round, these highly prized game fish are present in big numbers during these months. 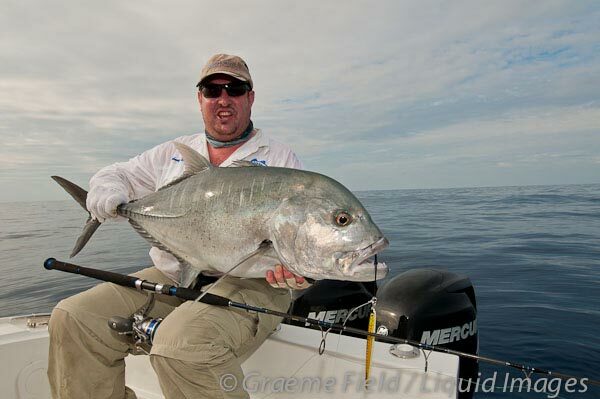 They can be seen free swimming on the surface, and anglers have the rare and incredibly exciting opportunity of sight casting to them on the surface without having to tease them up. 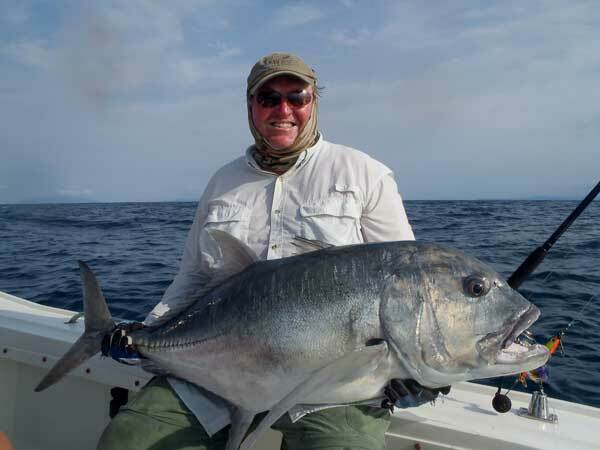 While not viable to fish on a daily basis (due to distance and fuel costs), a stay at Sakatia Island isn't complete without at least one trip to Castor bank. A massive offshore underwater reef, Castor stretches for 75 miles, incorporating Leven bank in the north. 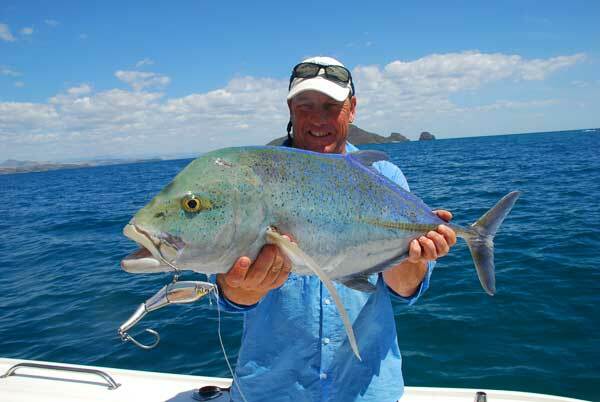 Anglers will concentrate on the southern tip of this reef, which is a two-hour trip (each way) from Sakatia. 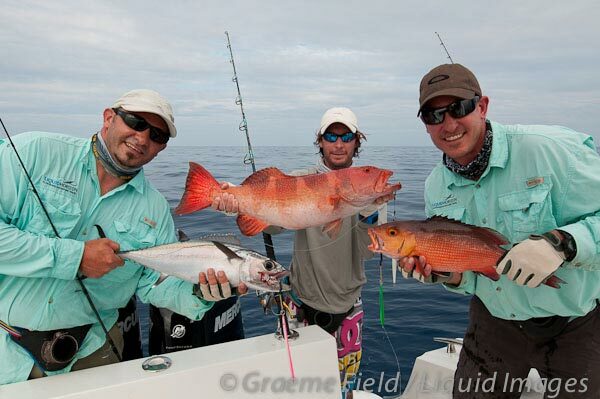 This is a wild fishery, where anglers will encounter big doggies, GT's, sailfish and a host of other species. The live-a-board yachts offer mobile and unrestricted access to the remote areas to the north (Mitsio Islands and Cape San Sebastian) and the south (Russian Bay, Nosy Iranja and Radamas Islands). 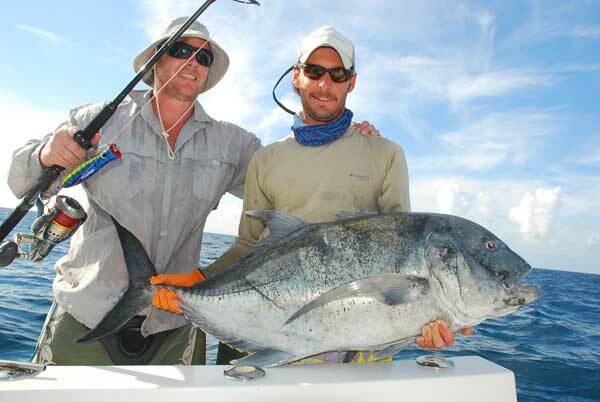 Fishing, time of year and prevailing weather dictate in which direction they head on each charter. 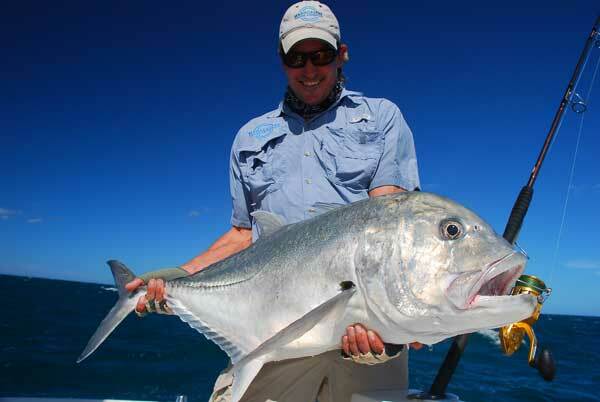 The south offers a great variety of fishing, including shallow reefs holding lots of kingfish, very productive estuary mouths that offer river snapper, grouper, kingfish and couta, and numerous deeper offshore reefs and drop offs. This area offers a lot of variety for fly fishing and spinning / jigging, all in relatively close proximity to each other. 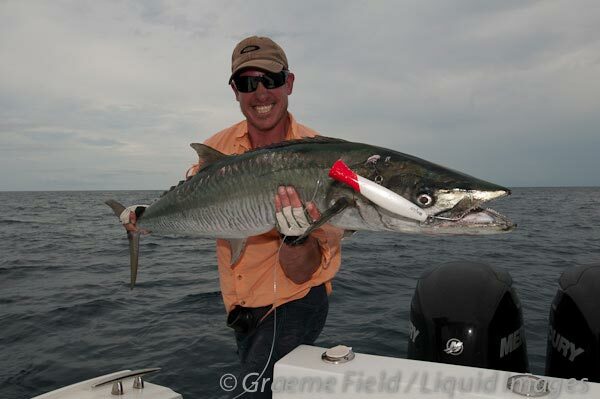 There is a lot of exciting surface action as well as some decent shore fishing options. 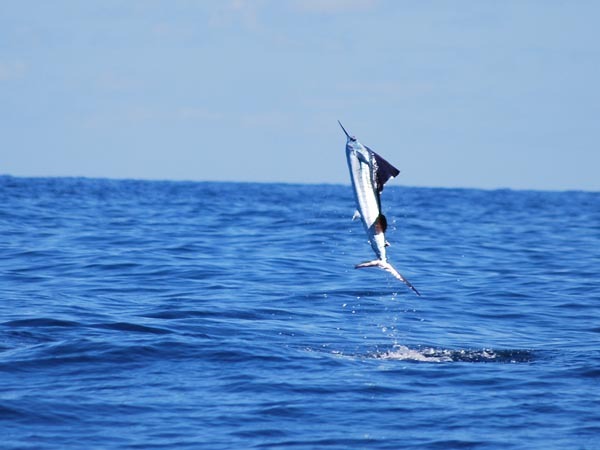 The main drop off is always close by, offering quick access to deep underwater walls and drop-offs that hold dogtooth tuna, sailfish and GT's. 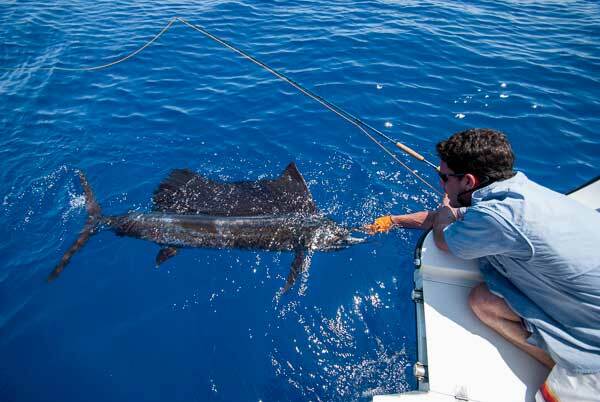 This is also prime marlin area for those wanting to tackle billfish. 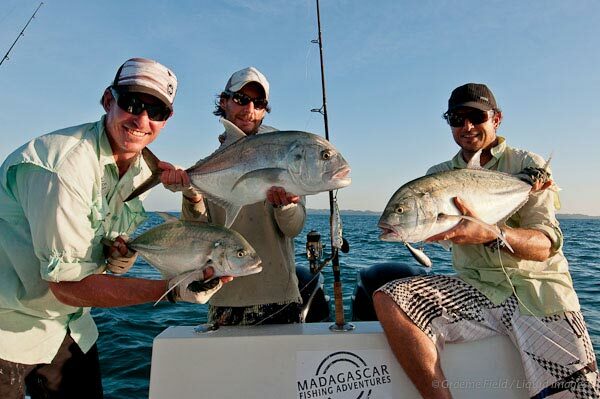 Anglers doing a land based / live-a-board combo will spend 4 nights at Sakatia Lodge, then 2 nights / 3 days on the yacht in the south during a weeks fishing. 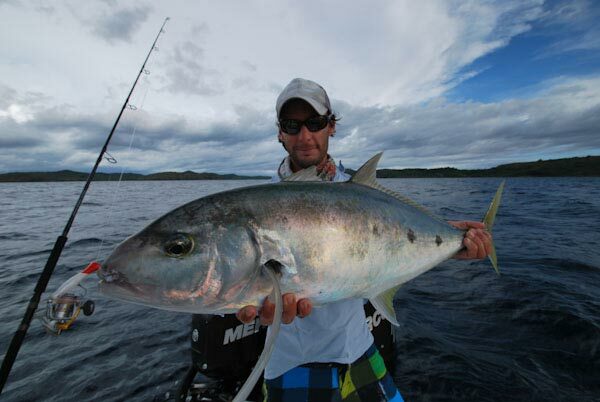 Anglers will concentrate on areas around the Mitsio Islands and Cape San Sebastian. These northern areas are not protected by mountains on mainland Madagascar and can be windy at certain times of the year. The yachts usually therefore only travel to this area during the calm weather months of March, April, May, June, October, November and December. 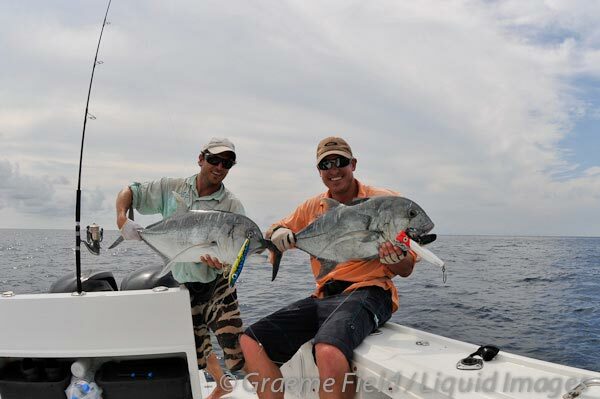 While jigging, popping and fly-fishing are all successful on the variety of reefs in these areas, there is a lot of opportunity for surface fishing with poppers and stick baits for big GT's, green spot trevally, couta (king mackerel) and yellowspot kingies. 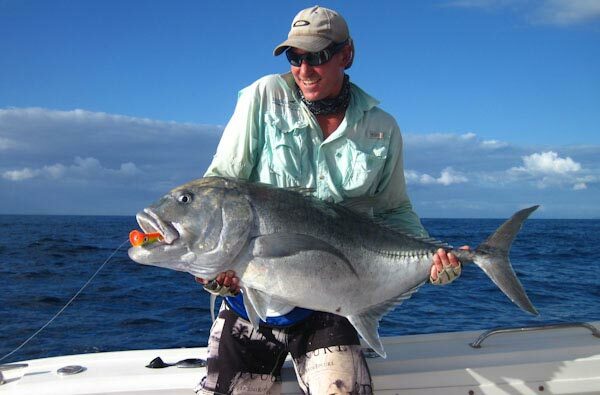 There are also some excellent reefs and drop offs for fly fishing with sinking lines, as well as a big lagoon and a few options to fish on foot from shore. 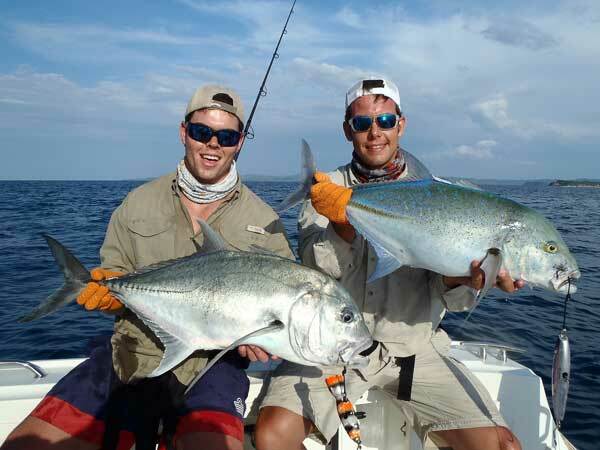 Big dog-tooth tuna, GT's and sailfish are available on the deep drop-offs and Intermedia Bank, but reaching these areas requires a run of 1 – ½ hours from the anchorage. 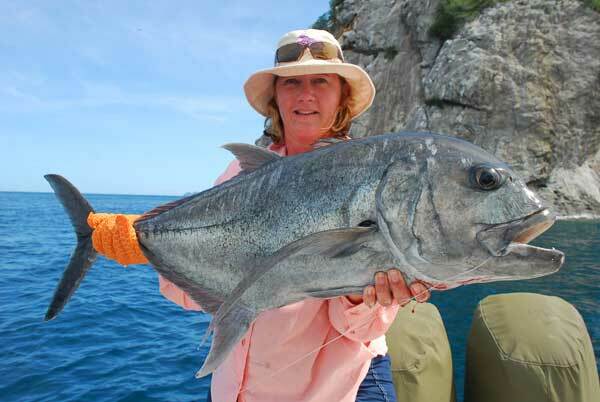 In addition to these sought after fish, the full variety of species is available, including green spot, yellow spot, bluefin, black and bludger trevally, king mackerel, jobfish, grouper and snapper to name but a few.